It has been a really productive year for The Tennis Foodie. As I mentioned before, The Tennis Foodie was born out of love and passion for Food, Tennis, Fashion and Travel. Few weeks ago, The Tennis Foodie turned ONE. It wasn’t easy. I had a lot of downs (challenges) in my year and it have learned a lot from it. I had several ups (accolades) as well and it inspires me to work harder and smarter for next year. Definitely, it was a very challenging pilot year for me but I was able to pull it through. I’m really excited on what’s in store for me in the year 2018. So far, I published 105 articles and counting. I was able to handle more than 20 brands and covered more than 75 restaurants all over the world. This will be my last post for 2017. 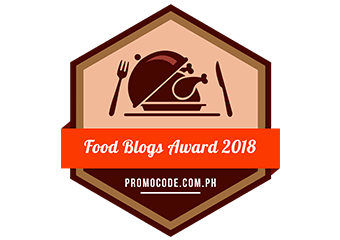 Won Top 50 Gastronomy Blogs. I was ranked #19. I rarely use Pinterest and Google+ but I’m planning to explore it next year especially the former as I heard it really drives traffic to the website. I’m really building on my Instagram and Facebook Official Page as it’s the most common platforms currently used. This year, I was able to travel to 15 countries. I don’t think I’ll be able to repeat this again ever but I won’t stop believing that I’ll be able to do so. 2017 is definitely my travel year! Me and my best friend during our visit in the Christmas market. In terms of tennis, I think I did well in the doubles discipline but in singles, I continued to struggle for two seasons now because of injuries but I’m slowly taking some baby steps. I performed better in my last few events and I hope I can really rebound next year. I got three sponsors and I’m really happy about it. Vollaix has been really amazing this year and I’m really happy with my new kits. On the healthier side, I lost a lot of weight with the help of Lunchbox Diet. I had a 60 days challenge. During the whole duration of the program, I was able to lose 26 lbs (approx 12 kgs) for 8 weeks. Not bad from a foodie who loves to eat and dine out. I’m planning to continue it next year. Watch out for more prizes / raffle for next year. It will be a bigger gastronomic and tennis adventures next year. I’m just excited on what the new year will bring for The Tennis Foodie. Thank you for being part of my journey. The feedback that I get from my posts really helped me hone my writing skills. I really appreciate every comment and praise on each article. I really want to thank everyone from the bottom of my heart. From the bottom of my heart, thank you all for supporting The Tennis Foodie. I hope you’ll all check out my future blog posts and features. Happy Gastronomic and Tennis Adventure! This is a great blog post! I enjoyed learning a little more about the statistics. And I think its fantastic you’ve traveled so much! Congrats on your health improvements too! Keep writing and traveling my friend, Happy New Year! good on you and keep up the good work! Not that much interested in the Likes and stuff but WOW, 15 countries – that’s great. I don’t think I’ll ever achieve that! It sounds like you had a very exciting year in 2017! I hope 2018 will take you to all the places you want to go. Happy New Year! Happy to know about your incredible achievements in 2017. I am sure you are an inspiration to many bloggers. Great going. May 2018 be even better than your successful 2017. I look forward to reading your upcoming posts. I love that you got to travel so much this year. Wishing you a wonderful new year! Congratulations on your success this year. For blogging only 1 year you accomplished quite a lot! Keep writing and traveling , Happy New Year! Great job and I wish you more success in 2018. Visiting 15 countries is awesome. I can’t even imagine the variety of food and fun places that provides you to see. Ranking 15 is pretty awesome too! Keep up the good work. Your obviously enjoying yourself and that’s what counts. congrats on your 1 year blogging! you have experienced great success! I was surprised you only had your blog for one year since it looks so well put together. good luck on your second year! Happy New Year! Sounds like you had a good 2017! And 15 countries! wow! that is so much! lucky you! Congratulations on a great 2017 and best wishes for an even better 2018! I intend to explore Pinterest more in 2018, too, and work on traveling more. You have had a great year. Here’s to an even better 2018. It sounds like you had a great first year blogging! I’m jealous of all the traveling you were able to do, that’s something I really want to prioritize more in 2018. Wow it sounds like you’ve had a great year! 15 countries is some good going, I only managed three and two were still with the UK!! Happy new year to you, I hope it’s a great one! Happy New Year congrats on a great 2017! Sounds like you will see even more success this coming year! 2017 has been really good to you. But I know 2018 will be better. More places to travel and more menu to explore. Happy New Year! These are some impressive stats! I’m sure you’ll continue to grow in 2018. Congratulations for sticking to it and sharing your passion. Love the photos as they are a wonderful expression of your love and energy for your topic. Much continued success and prosperity to you – can’t wait to see year-end 2018 numbers! Happy for you success! Congratulations to all your achievements, you have a great blog and beautiful people who supports you. There’s so much positive happenings will come this year 2018. Don’t let negative comments persuade you just stay zen Tennis foodie 😉 Good luck and more travels and cuisine to discover. Thank you for sharing it with us! You know I realized that as well but I get free advertisements as well from their website so it’s a win-win. Maybe you just have to select the “legitimate” ones or those who are really giving high traffic. Make it happen! Dream big! I started with one country per year. Then two then four then I didn’t realized that it was fifteen this year. Maybe this year, I’ll just do two or three and maybe cover more cities. Sounds like you have had an amazing year -well done you! Congrats on getting three sponsors. I know that matters quite a bit Happy New Year to you! Traveling to 15 countries must have been amazing! Congrats on your one year anniversary! Happy new year! Wow this has been a great year for you. I love the report post..it is a great way to keep track of your progress. Keep it up! You had a fantastic year! Congrats on your world ranking; you made some phenomenal gains! How awesome that you were able to see 15 countries! I have not been out of the US yet, but I plan on getting some stamps in my passport this year! Happy New Year to you! I can’t believe you just started last year. I wish for more success for you this 2018. You did great last year! What an amazing year 2017 has been for you.You are well traveled and have an awesome blog, congrats. Oh!! It looks like you had a wonderful year and Congratulations on your 1 year in blogging. Hope you had a lot of success in this year. Congrats on your blogiversary! It sounds like you’ve really have a productive year and have grown and accomplished so much! wow!This is really a worth reading for every blogger.I am really excited by reading how you have successfully grown as an authority blogger!Wish you many more success in the future! Looks like 2017 was a great year for you. I want 2018 to be even better! I love the tennis photo posing with the pear. I really enjoy your food posts of you trying new and different food.